Before– It has been a long time since this patient has had his teeth cleaned. Plaque and black tartar are built up on the teeth. 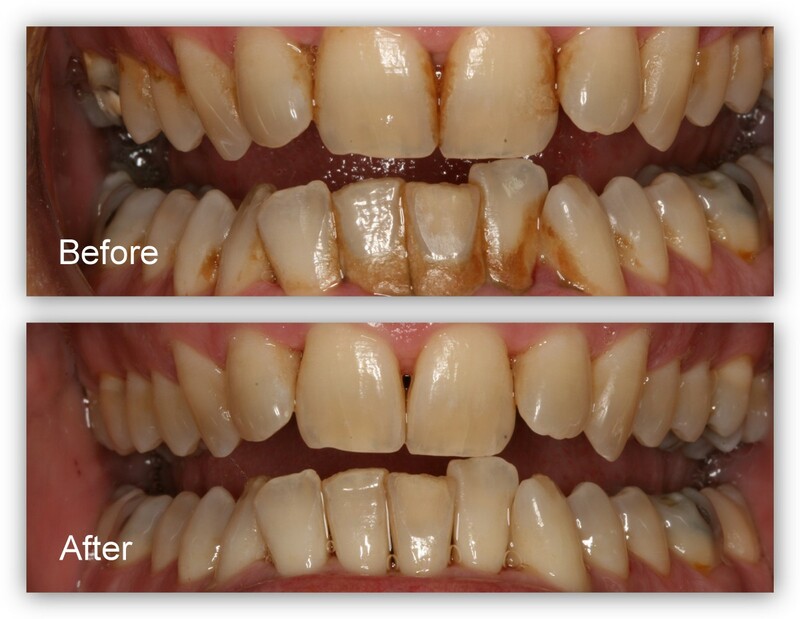 After– Same patient a couple months after a professional cleaning was completed by the hygienist at Dr. Jack M. Hosner’s office in Portage, Michigan. 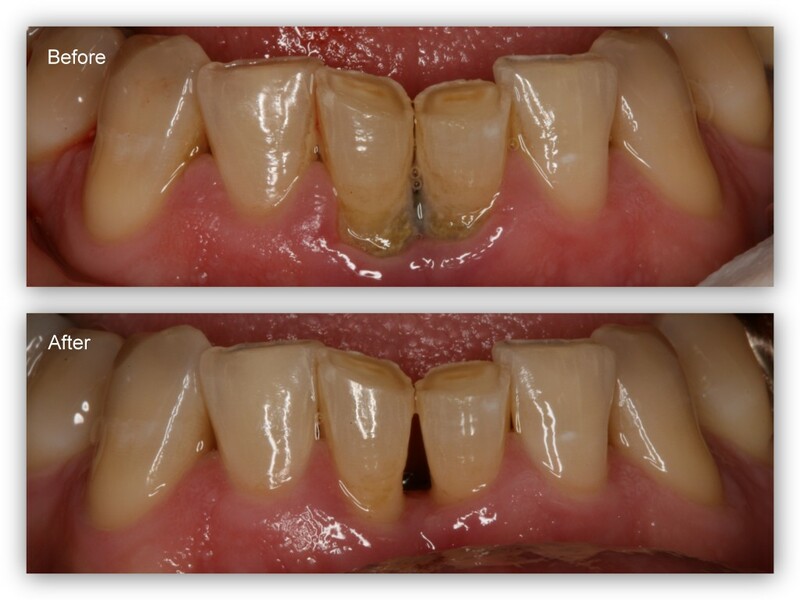 Before– This patient has periodontal disease with severe tartar and stain build-up. After– The hygienist at Dr. Jack Hosner’s Portage, MI dental office cleaned the teeth (a cleaning called scaling and root planing), and the tissue is now healthy. Regular periodontal maintenance cleanings are necessary to maintain this as healthy tissue. Before– This patient from Portage, Michigan has dark black staining and tartar on his teeth caused by many years of drinking dark beverages and/or smoking in addition to many years of not receiving professional teeth cleanings. 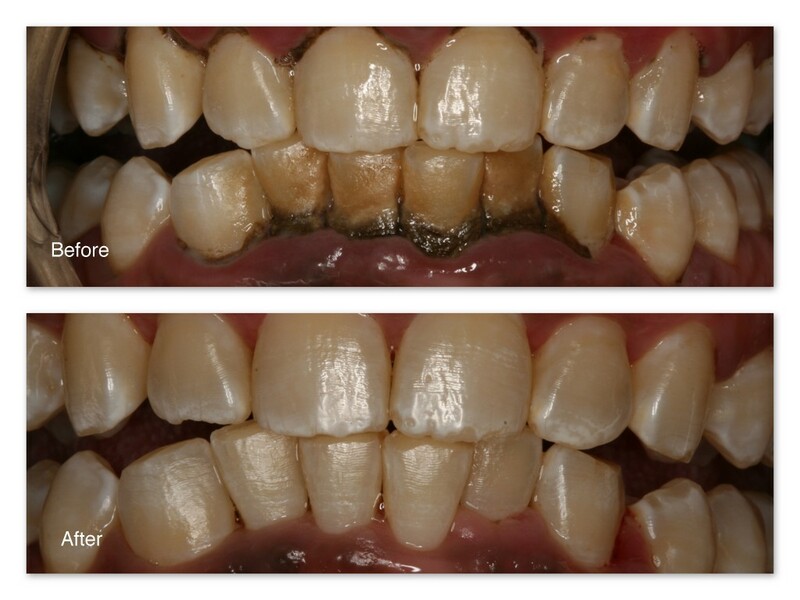 After– Amazing results after Dr. Jack Hosner’s hygienist cleaned the teeth thoroughly. These teeth need to be professionally cleaned every three to four months. 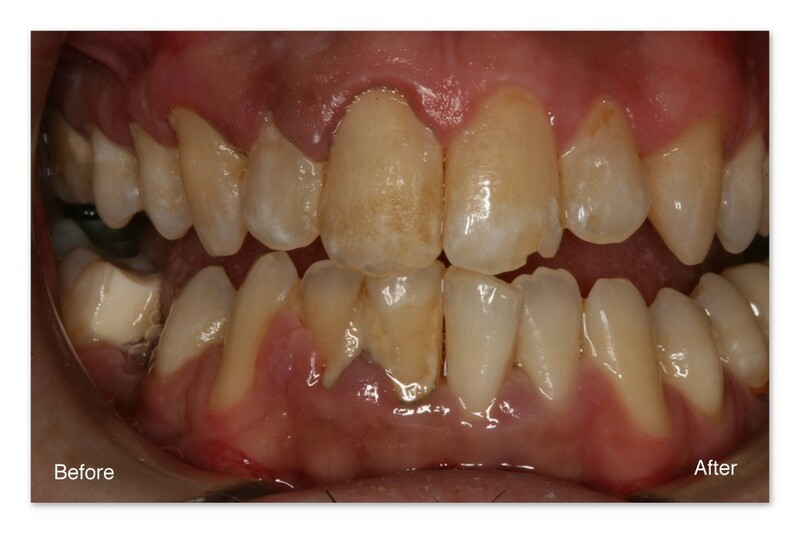 Before– This patient suffers from periodontal disease. You can see the severe tartar and stain build-up. After– After a cleaning (scaling and root planing) by Dr. Jack Hosner’s hygienist in Portage, MI, the soft tissue has been restored to health and the teeth are clean. These teeth need to be professionally cleaned every three months to maintain good soft tissue health. After– After a scaling and rooting by Dr. Jack Hosner’s hygienist in Portage, MI, the soft tissue has been restored to health and the teeth are clean. These teeth need to be professionally cleaned every three months to maintain good soft tissue health. Before– This patient has periodontal disease (a very common advanced form of gum disease) with staining and tartar build-up on his teeth. After– The hygienist at Dr. Jack Hosner’s office in Portage, MI cleaned the teeth thoroughly to eliminate the infection, (a cleaning called ” Scaling and Root Planing”). These teeth need to be cleaned at least every three months to maintain health and prevent the active gum infection from recurring. Before– A close-up of the inside surfaces of the lower front teeth before cleaning. 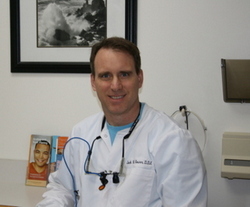 After– After the teeth have been cleaned by Dr. Jack Hosner’s hygienist. This patient of Dr. Jack Hosner, D.D.S. in Portage, MI had his teeth cleaned just 3 days ago on the right side only by Kerry Koss R.D.H. (Hygienist at Dr. Hosner’s office). Notice how much better the gum tissue looks after only 3 days of healing on the right side vs. the left which is much inflamed , oddly shaped and more dark in appearance.